Finding a house just became a whole lot easier! 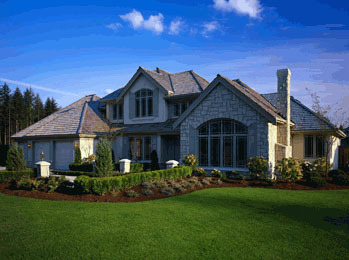 Statistics show that most people look for their new house on MLS prior to contacting a Realtor. Tired of going through the same listings over and over on the internet? Let the new listings come to you. Fill in the checklist below with your criteria and each day as a new listing is posted, it will be automatically emailed to you at the same time as the Realtors see the new postings. You will get the new listings approximately 24 to 48 hours before they show up on MLS! This is an electronic automated program so you won’t be contacted by me unless you ask to. If you see something that you would like to view, give me a call, or send me an email, and I would be happy to make an appointment for you to see the property. It is as easy as that! To use the Automatic Listing Notification Service please fill in the options below. By providing more information below, your search will be narrowed to a more detailed set of results. If you wish to receive more listings, please provide a more basic set of criteria. You can remove yourself from these automated mailings at ANY time without hassle or pressure. Please provide more details about location, i.e. specific town, condo community, waterfront, proximity to ski clubs etc.. Please provide more details about important features that are important. OR any questions?